June E. Godwin, age 86, of Bellefontaine, Ohio passed away at 12:44 P.M. Monday, April 15, 2019 at Hospice of Central Ohio at The Ohio State University Wexner Medical Center in Columbus, Ohio. 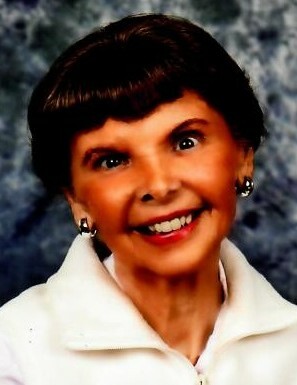 She was born in Bellefontaine June 26, 1932, a daughter of the late Everett and Edith (Mosier) Conklin. In 1955, she married Jack L. Godwin and he preceded her in death June 21, 2014. She was also preceded her in death by a sister, Dolores Foughty and a half-brother, Everett Conklin Jr.
She is survived by two sons, Jeffrey L. (Paula) Godwin of Heltonville, Indiana and John P. (Stacey Metzler) Godwin of Harpers Ferry, West Virginia; three grandchildren, Abigail, Josiah, and Jedidiah; a brother, Jim (Sigrid) Conklin of Sidney, Ohio; a nephew, Larry (Pat) Foughty and a niece, Debra (John) Carleton. June was a 1950 graduate of Bellefontaine High School and went on to Miami University, Oxford and Urbana University to earn her BS in Elementary Education. She completed her master’s degree in Library Science at Wright State University. She worked as a substitute teacher in Bellefontaine Schools as well as many of the area school districts. She then became involved and worked with the children at the Carnegie Library in Bellefontaine. She was a lifetime member of the First Lutheran Church in Bellefontaine where she was a member of the Faith Circle, had been a former board member of the Lutheran Community Services and a founding member of the Board of Directors for Our Daily Bread. She also catalogued books and set up the church’s first library. She worked with numerous charities including Rachel’s House which she founded and directed. She also volunteered for Weekday Religious Education, Advisory Board for LCHD, and was a member of CASA. Pastor Larry Novak will officiate the funeral service at 11:00 A.M. Saturday, April 20, 2019 at the First Lutheran Church in Bellefontaine. Burial will be at the Huntsville Cemetery in Huntsville, Ohio.